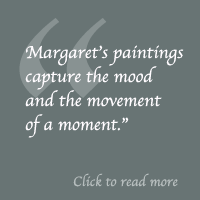 Margaret Godfrey is a symbolic painter who has been described as a conceptual artist. Her paintings have an abundance of symbols, which help tell the underlying story of a series. By working in a series, she is able to explore and express different aspects of the pictorial metaphor. 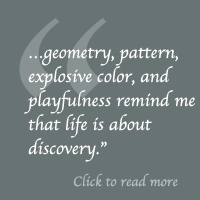 Her patterns and decorative designs flow through her body of work, connecting the layers and messages of a series. In viewing her paintings, look beyond the literal; search for the allegory. Her pictures incorporate both representational and abstract styles and often include both. She uses watercolor, acrylic, ink, and collage in her creative works on paper. Living in the beautiful McKenzie Valley in Oregon and traveling throughout the U.S and abroad, she finds an abundance of inspiration for creating art. Margaret shares her enthusiasm for art through teaching workshops and active membership in art associations. 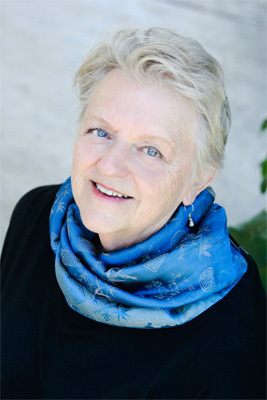 Margaret is an award-winning member of the Watercolor Society of Oregon, the Western Federation of Watercolor Societies, the Northwest Watercolor Society and she is a signature member of Northwest Watercolor Society and Hawaii Watercolor Society. She is a member of Watercolor West, National Watercolor Society, and American Watercolor Society. 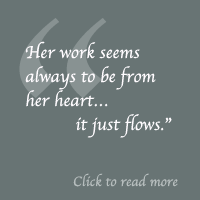 Her works have been in juried shows around the United States. Her paintings hang in private and public collections in the U.S., Honduras, Canada and Japan. Margaret is a self-educated artist with a background in education and counseling. She has studied with many nationally known artists. Please Email Margaret about viewing her work.